Ideal template for a professional manicure, pedicure or waxing service. Classically designed in girlish pink colors. 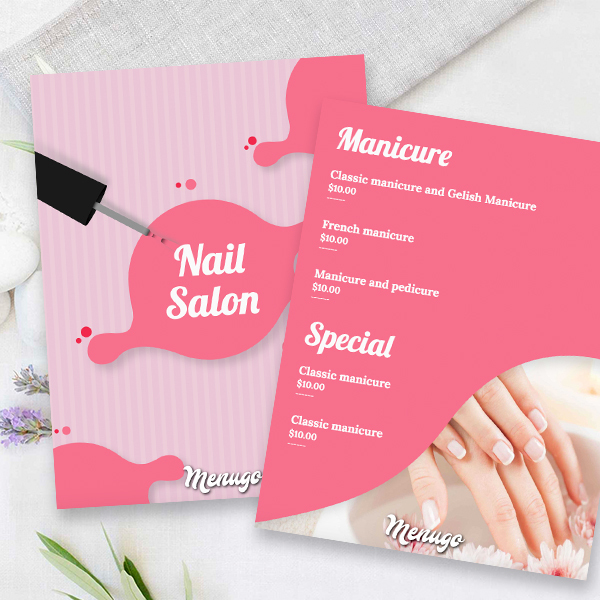 Make your own colorful nail salon menu online with Menugo and easily print it.